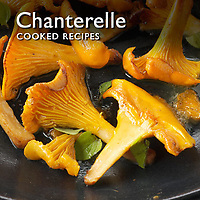 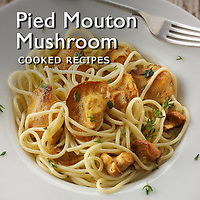 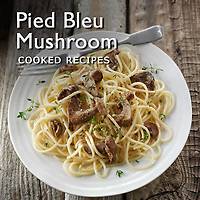 Food pictures of fresh and cooked mushrooms & wild mushrooms to download on line. 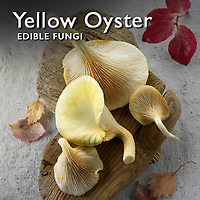 Culinary mushrooms are edible part of fungi that are either grown commercially of picked wild. 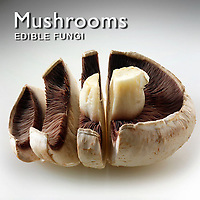 The mushroom is the fruiting body of the fungus that grows underground or in trees as an interconnected mesh of filaments known as mycelium. 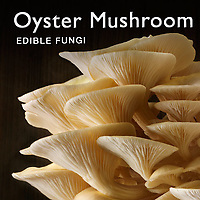 Some of the largest know living organisms on this planet are these interconnected mycelium one of which in the Malheur National Forest in the United States is believed to cover 2,200 acres (8.9 square km) and is believed to be about 2.400 years old. 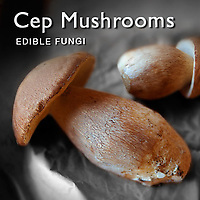 The edible mushrooms that these fungi produce are therefore a small part of the overall organism. 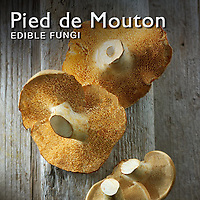 Mushrooms grow rapidly from tiny pin shape growths produced by the mycelium. 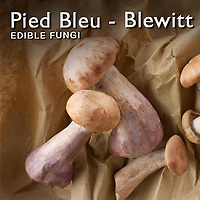 They draw in water and quickly grow into the mushrooms that we recognise as food. 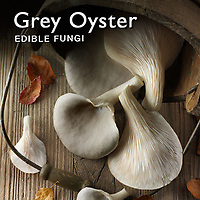 Gill underneath the mushroom produce spores that are spread by the wind to produce new fungi. 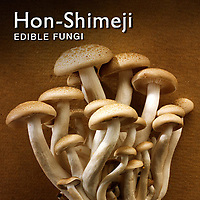 Mushrooms grow into many shapes and colours, and even though some are very poisonous the vast majority are edible. 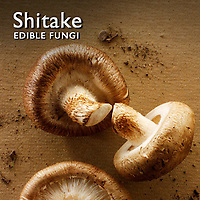 Only a few varieties are prized for cooking. 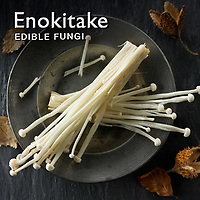 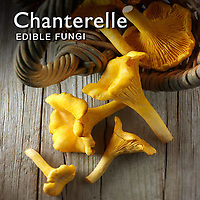 These range from cultivated varieties such as the button, oyster and open cap mushrooms to wild varieties such as ceps, chanterelle and morels. 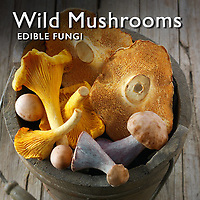 Those with the knowledge eat more wild varieties but as many of the edible wild mushrooms have toxic look alike it is better to buy wild mushrooms from trusted sources. 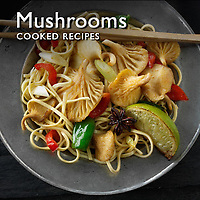 Mushrooms are used in all cuisines of the world and the everyday cultivated mushrooms end up as ingredients in everyday food such as soups to pizza toppings. 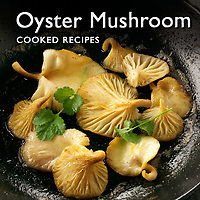 The rarer mushrooms are used in high cuisine with exotic and fine dining dishes being produced from mushrooms all over the world. 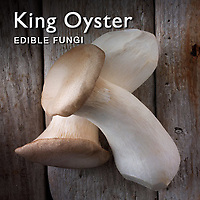 Buy and download professional food pictures of fresh and cooked mushrooms & wild mushrooms on line as stock photos or photo art prints.